Sign up for Broadjam today to follow Fans of Jimmy Century, and be notified when they upload new stuff or update their news! 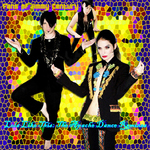 2009 release of Lola Like This remixes featuring mixes by Dave Aude, Trevor Simpson, Haki, Rod Carrillo, Slick Vic, J. Paul, and Bellamy Sound. 2008 release featuring the remixes of Hot Sahara and Blonde Ambition including Lenny B., Eric Kupper, Klubjumpers, and Haki. The 2007 debut full-length CD featuring Hot Sahara, Blonde Ambition Red Temptation, and Delicate Fever. 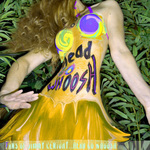 The newest 2009 EP release "Head Go Whoosh" featuring Lola Like This and Hush Madame X.